Red Cross Press Release - Disaster Restoration Services, LLC. 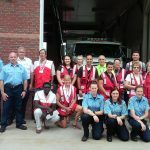 (October 7, 2015)- Disaster Restoration Services (DRS), is partnering with the American Red Cross Connecticut for Ready 365’s Home Fire Preparedness Campaign. As part of the partnership, Disaster Restoration Services has contributed $15,000 to the campaign. 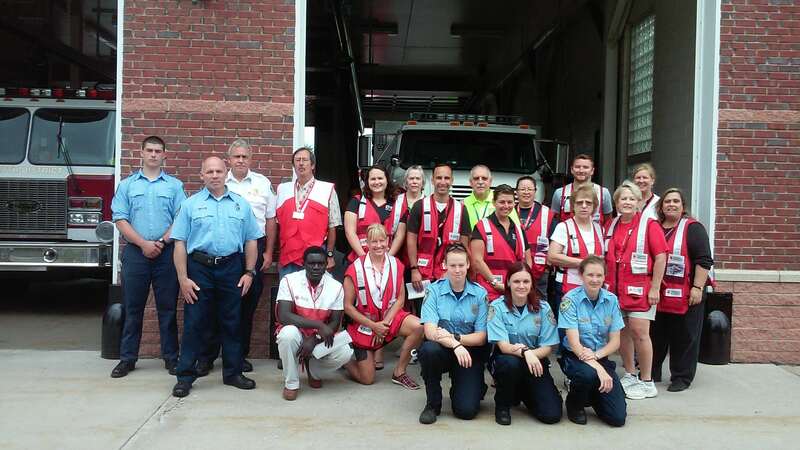 Disaster Restoration Services’ contribution will support American Red Cross emergency preparedness and response services in Connecticut and Rhode Island, in particular, with the goal of reducing injuries and deaths from home fires. Last year, the Red Cross responded to more than 1,100 local disasters in Connecticut and Rhode Island – most of them residential fires. The Home Fire Preparedness Campaign will bring Red Cross volunteers into communities to educate residents about fire safety and fire escape planning, as well as to install smoke alarms free of charge. Through the partnership, Disaster Restoration Services employees will have the opportunity to volunteer with the Red Cross and have already begun volunteering by providing information, education and installing free smoke alarms. Disaster Restoration Services will also share safety information and tips from the Red Cross during the campaign. The American Red Cross shelters, feeds and provides emotional support to victims of disasters; supplies about 40 percent of the nation’s blood; teaches skills that save lives; provides international humanitarian aid; and supports military members and their families. The Red Cross is a not-for-profit organization that depends on volunteers and the generosity of the American public to perform its mission. For more information, please visit redcross.org/ct or visit us on Twitter at @CTRedCross. Disaster Restoration Services can take any disaster clean up from start to finish! DRS is available 24/7 and services all of Connecticut. DRS provides services for: Water Mitigations, Fire Damage Clean Ups, Storm Damage Clean Ups, and Mold Remediation. Not only can DRS do the mitigation, but DRS can also handle the remodel. Doing Restoration Strong!